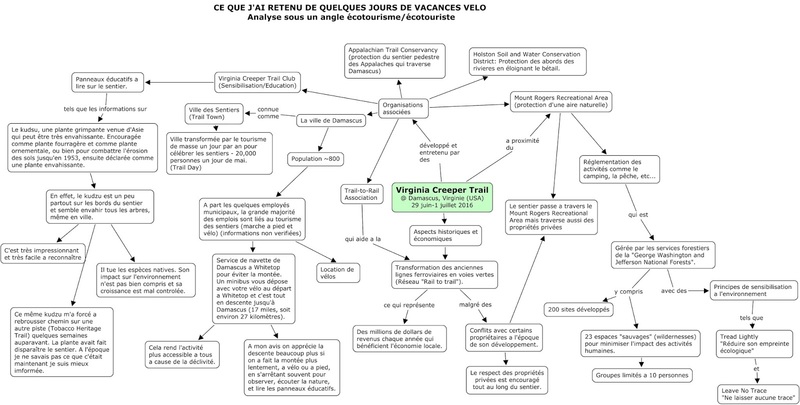 Insight Mapping: MOOC Evaluator: Can I get paid to learn? MOOC Evaluator: Can I get paid to learn? I must have mentioned in the past that I am a learning junkie. MOOCs have found a way into my life and they're here to stay. If MOOCs die I will find something else. I have now established what is almost a routine of signing up for and completing a couple of MOOCs in parallel at all times. I've learned not to try to do more than two at a time and while I've given up on a few, I've completed most and I'm generally satisfied with what I've learned. I'll admit that I did give up on Calculus and in retrospect my reasoning for signing up for that in the first place wasn't very solid. More recently, I've completed my first French MOOC: L’écotourisme: Imaginons-le ensemble. Why did I sign up for that? It was a combination of 1) wanting to take a MOOC in French to awaken French neurons that have been asleep for too long; 2) a long standing interest in the topic of ecotourism because I come from several generations of family involved in tourism, I fancy myself an amateur environmentalist and ecotourism is an approach meant to support sustainable economic and social development, which is very much in my academic and professional background. I'm explaining this because articulating the reasons for signing up for a particular MOOC has a lot to do with whether I'll stick with it, cruise through it or sip it slowly to get maximum enjoyment. 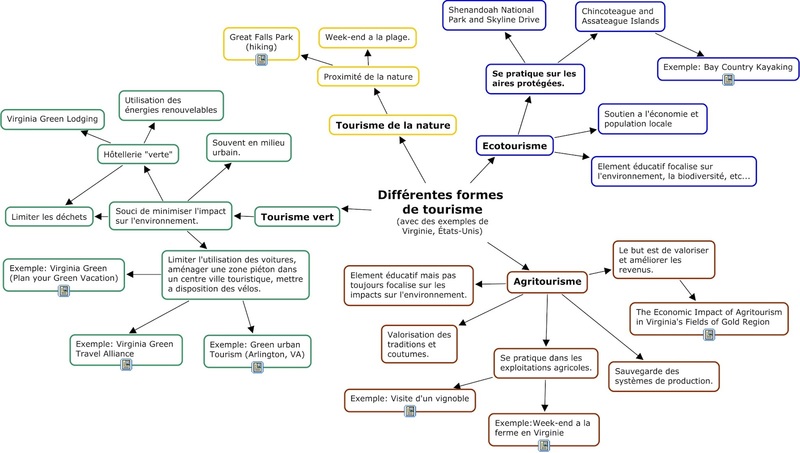 The French ecotourisme MOOC was a more personal choice than most other MOOCs have completed and I completed it in spite of its weaknesses. This brings me to my insight of the week, which might be a crazy idea or just not a very good idea but as someone once said, you've got to have a lot of ideas for one or two to be any good. I have now accumulated a great deal of experience as a MOOC learner. I've taken courses in different subjects, on different platforms, and I know a great deal about adult learning outside of that MOOC specific experience as well. Would someone pay me to evaluate MOOCs? I'm not talking about rating them, I'm talking about providing the MOOC developers with very tangible, specific feedback. I doubt they're getting that from the average MOOC learners. Think about it, getting paid to satisfy your addiction to learning... wouldn't that be sweet? I've just signed up for Foundations of Business Strategy offered on Coursera by the University of Virginia's Darden School of Business. That choice was very "strategic". For the purpose of maintaining my Project Manager certification, I need to accumulate a certain number of education/learning points around technical, leadership and strategic management skills. This course will definitely satisfy the strategic management skills area where I have a gap. In short, there is a good strategic rationale for taking this course. Perhaps more importantly, there is a very good motivational rationale. It fits very neatly into everything I've been doing to prepare for full-fledged launch of Fillip Consulting, LLC. I was working on the business plan yesterday. Lots of fun... and a little scary. I've also signed up for my second French MOOC: Comprendre l’économie collaborative. I really enjoyed thinking in French again, mapping in French (map 1, map 2) and forcing myself to interact in French with fellow learners. The course on the collaborative economy doesn't start until September but Business Strategy should keep me busy until then AND help me refine my strategy and business plan.